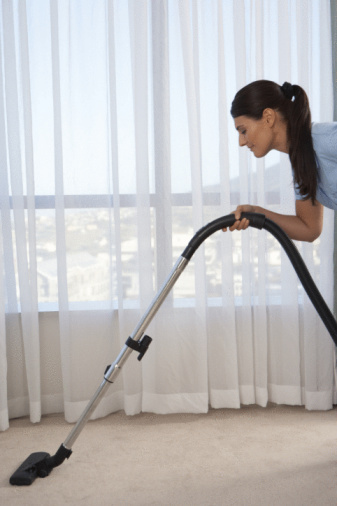 A wet-dry vacuum can be an extremely useful piece of equipment around the house, garage or workshop. You can use it to pick up anything from spilled milk to scattered nails. 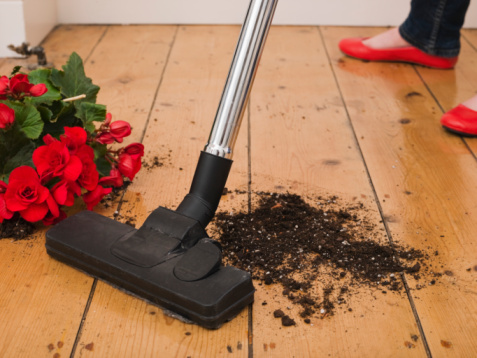 If you have an issue with a broken pipe, minor flooding from a heavy rain or clogged toilet that has overflowed, you can use your wet-dry vac to clean up the mess before sustaining costly water damage. Empty the vacuum's collection tank if necessary. Some models have a wet tank and a dry dust bag, but others use the same collection tank for both. Remove the dry dust bag if applicable. Remove the filter from the vacuum. 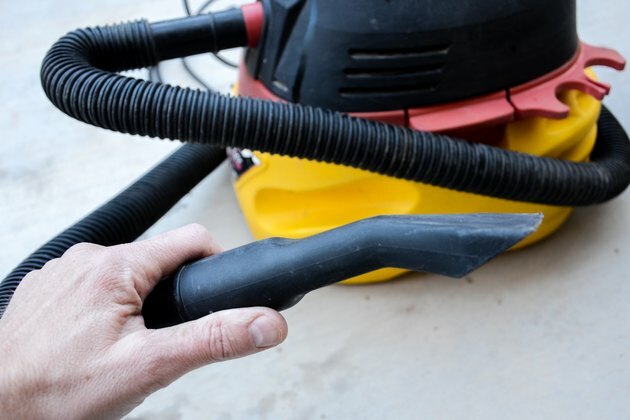 Depending on the vacuum model, you may be able to leave the filter in place when vacuuming a small amount of water; however, always rinse the filter and allow it to dry after vacuuming to prevent mildew. 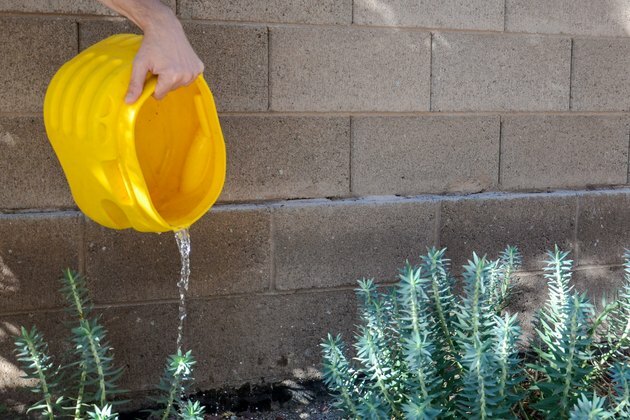 Attach the water removal accessory to the hose. This attachment has a squeegee apparatus on the end to help remove water from flat surfaces and carpet. Turn on the wet-dry vac and begin vacuuming up the water. As you work, listen to the sound of the motor: a marked increase in pitch indicates the vacuum has automatically cut off the air flow. Many models of wet-dry vac have a floating ball mechanism that stops the suction when the tank becomes full, creating this high-pitched sound. 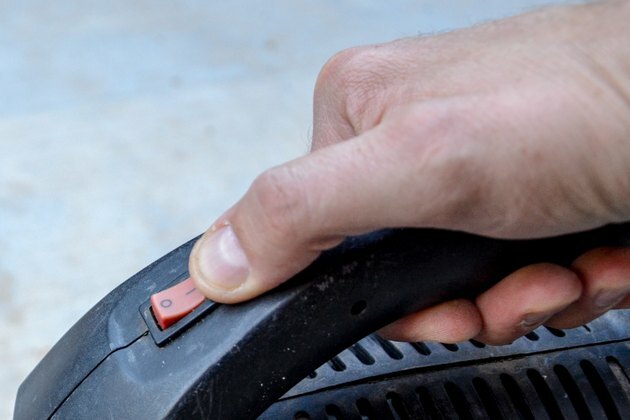 Stop vacuuming the water and turn off the vacuum immediately after hearing this sound. 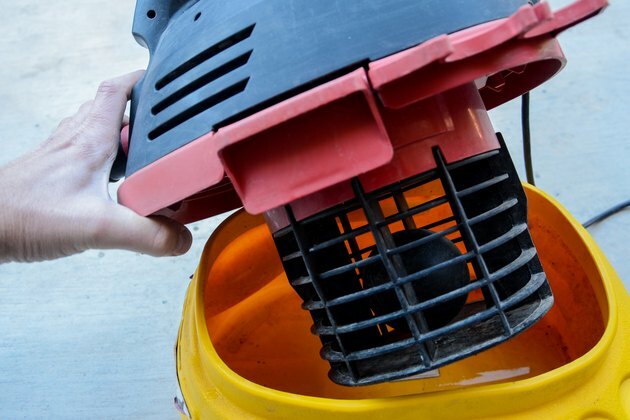 Running the vacuum when the tank is full can damage the motor. 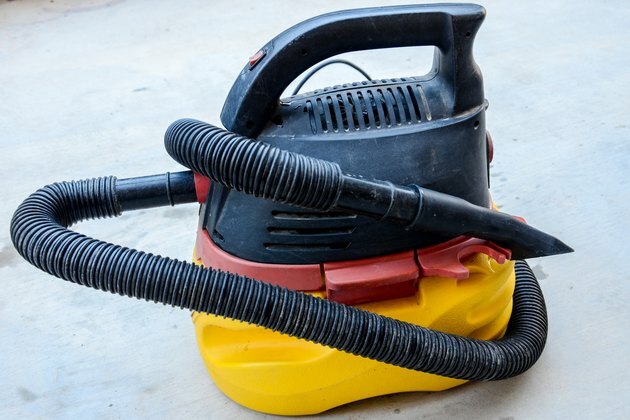 Unplug the vacuum and empty the contents of the tank by either removing the vacuum head assembly and pouring the water from the tank or by removing the drain plug from the bottom of the tank, if applicable. 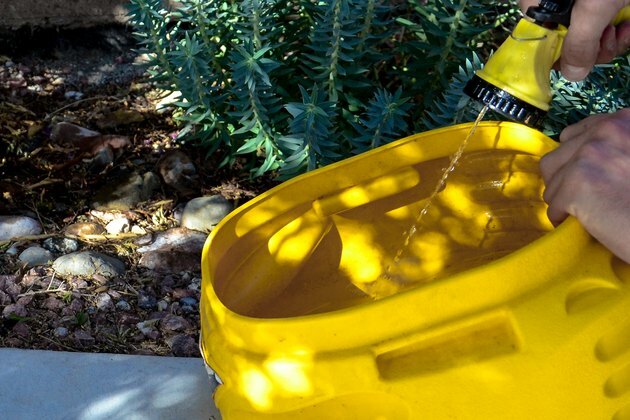 Be aware that the more water you collect in the tank, the heavier the tank becomes. 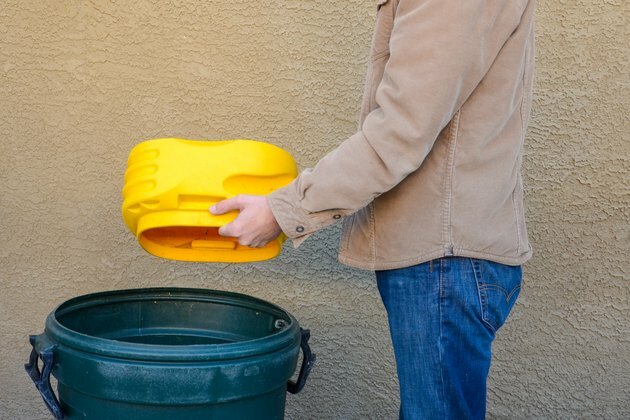 Wash the inside of the tank with warm water and a mild dish soap when you're done vacuuming the water. Dry the tank with a soft cloth before replacing the filter.